"Khloe brought it up all the time... She looked nothing like the rest. She was tall, had a different shape, light hair, curly hair. Didn't look anything like the other three children." Right. Could also be genetics at work, but that's not a SALACIOUS TABLOID STORY. SO. 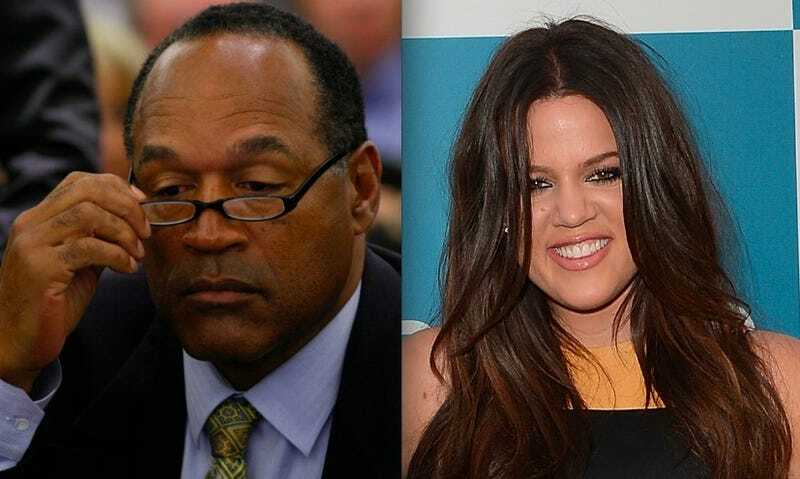 Currently in prison for armed robbery and kidnapping, Simpson has made changes to his will to include Khloe and angered his legitimate children, most notably daughter Arnelle, 43.